With each major Android mobile platform update comes several great new features and Android Q will be no exception. Here’s what we know about the upcoming Android Q mobile operating system so far. It’s expected that Android Q will allow native hardware support for secure facial recognition. This is based on code discovery by XDA Developers. If this is true, it could open the door to many new possibilities for OEM’s who will no longer have to invest as much time, money and resources into heavily customizing Android. It could also include supporting new features such as app sign in and payment authorization. 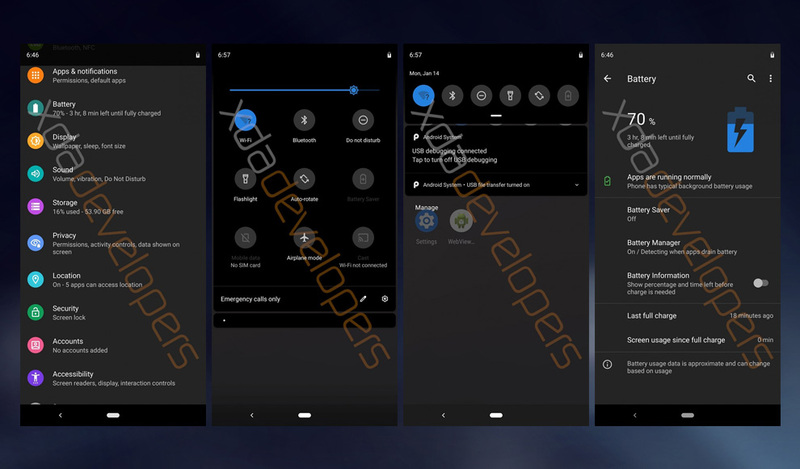 XDA Developers obtained a build of Android Q which revealed a display setting that enabled a system wide dark mode. This is a feature that many Android users have been long awaiting for. No doubt we’ve been excited for the arrival of a proper dark mode in previous Android versions only to be let down but this time it could actually be true! Thus far, when it comes to Android and app permission settings there is, no question, room for improvement. For those of us who want more privacy and/or battery life, making it easier to set permissions that actually work the way you desire would be a welcomed addition. If rumors prove to be true, Android Q will have much improved app permission settings that puts you more in control of your privacy. It’s also rumored that Android Q will provide the ability to block background clipboard access. Without getting into all the technical details, in short this means it will allow you to block apps from scraping your private data such as usernames, passwords, etc. A desktop mode is expected to be included with Android Q. What this exactly entails is currently unknown. It might be a similar take on the desktop mode Samsung introduced in recent years, or something completely different. It could be more than just screen sharing and could provide a completely different interface as well as the ability to use a mouse and keyboard when you connect your smaller mobile device to a larger screen. We’ll just have to wait and see! According to 9to5Google Android Q will offer system-level screen recording options without the need for third-party OEM solutions we’ve previously had to rely on. You’ll have all the necessary controls for recording as well as the ability to include a voice-over for your video. Are you tired of receiving unwanted notifications on your Android device? Well you’re not alone and apparently Google has listened. Android Q is expected to have improved settings that puts you more in control of the mobile app notifications you receive. Upgrading Android apps has always been easy, downgrading (unless you have a rooted device) not so much. We don’t know 100% for sure, but this pesky scenario could all change with the coming of Android Q. Above are just a few of the more notable updates to be expected for Android Q. Some are assumed/rumored while others are certain. What are some updates you’d like to see with Android Q or the mobile OS in general? We’d love to hear your thoughts in the comments below!